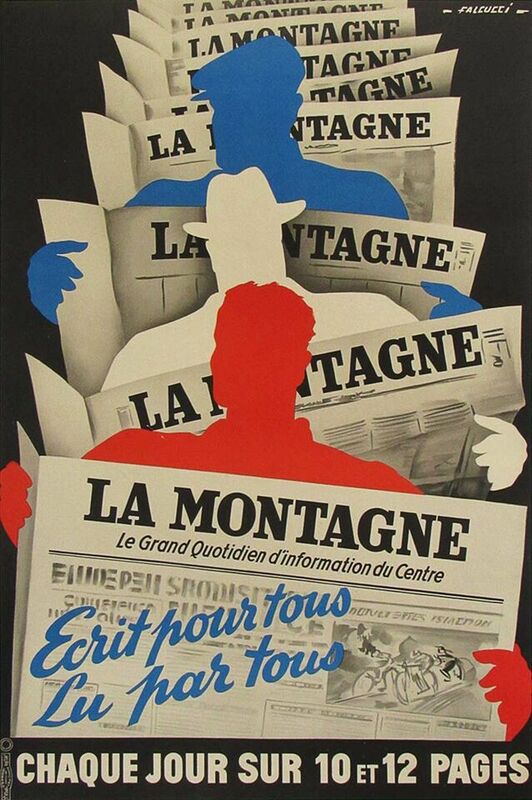 A very famous poster for the popular French newspaper “La Montagne”, realized by Falcucci in the 1930’s. As the caption tells us: “Written for all, read by all”. Robert Falcucci (10 April 1900 – 13 May 1989) was a French illustrator. He was born in Châteauroux, France.